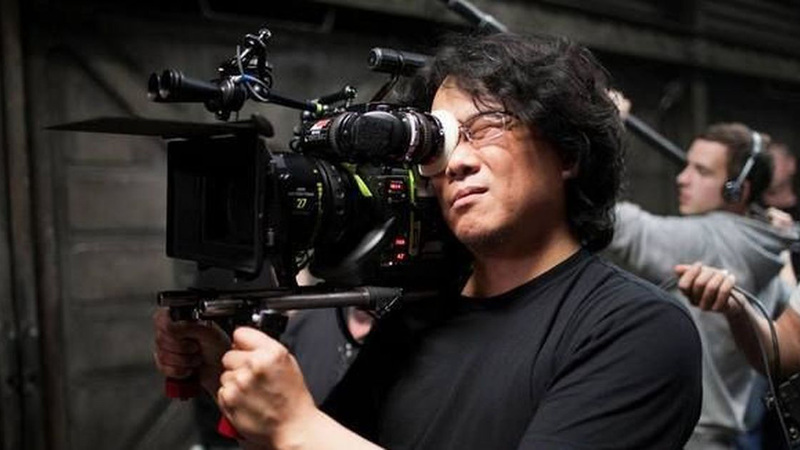 The Last Thing I See: This Is Not A Drill: Bong Joon-Ho's 'Parasite' Has Started Filming! This Is Not A Drill: Bong Joon-Ho's 'Parasite' Has Started Filming! I repeat, this is not a drill. Hot off of Okja last year, Korean hit factory Bong Joon-ho has reportedly started filming his follow-up, Parasite, which, according to the news, doesn’t involve any actual parasites. It will be released next year and marks the Snowpiercer director’s return to filming entirely in his native tongue for the first time since Mother in 2009. According to Variety, cameras started rolling on Parasite on Sunday in a facility that specializes in underwater photography. Make of that what you will. The trade also reports CJ Entertainment will serve as the Korean distributor and take care of international sales, while Barunson E&A will produce. And because it’s not a Bong Joon-ho movie without Song Kang-ho, Parasite stars Song Kang-ho (The Good, the Bad, the Weird, The Host, and so many other bangers). But because Bong rules, he also put together a stellar cast beyond the lead. The call sheet includes Jang Hye-jin (Atlanta), Choi Woo-shik (Okja, Train to Busan), Park So-dam (The Priests), Lee Sun-kyun (A Hard Day), and Jo Yeo-jeong (The Target). The plot revolves around a family of four—Song as the father, Jang as the mother, and Park and Choi as their children—each of whom has “unique characteristics,” whatever that means. But again, Bong says there are no parasites or aliens. For some reason, my mind goes right to superpowers, like a family of superheroes or something along those lines. That’s all conjecture, though and sounds a lot like The Incredibles. The Host, Mother, and Okja all bowed at Cannes, where Bong has also served on the jury. One might be forgiven for wondering if Parasite will drop on the Croisette roughly a year from now. Again, all conjecture and the workings of my admittedly flawed little brain, but it’s well within the realm of possibility. And to be honest, all that really matters is there’s a new Bong Joon-ho movie filming right now and coming out next year.